There are currently no Green Valley Yucaipa, CA notable alumni listed. Be the first to add an GVHS famous alumni. Create a Green Valley High School Yucaipa, CA memorial for an individual alum that has passed away. There are currently no memorials for Green Valley Yucaipa, CA alumni. Even if alumni from Green Valley High School have moved away from Yucaipa, California, they can use this site to find and contact high school friends. If you are a former student of Green Valley High in Yucaipa, California, register now to add your name. 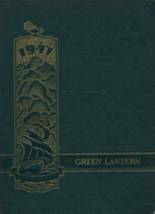 Don't forget to upload your Green Valley High School pictures and check on the latest info about any Green Valley High School reunion. Danielle Wideman has someone searching for them. Chastie Trost has someone searching for them. Peter Guyer has someone searching for them. Norman Cook has someone searching for them. Jeanna Eiden Pipoly added photos to their personal photo gallery. Jeanna Eiden Pipoly updated her profile picture. Jeanna Eiden Pipoly registered as a GVHS Class of 1985 alumni. Sarah Gardner-Clelland added photos to their personal photo gallery. Sarah Gardner-Clelland updated their profile picture. Sarah Gardner-Clelland registered as a GVHS Class of 1993 alumni. Sarah Gardner-Clelland added photos to the Graduation page. Michelle Robinson added photos to their personal photo gallery. Michelle Robinson updated their profile picture. Michelle Robinson registered as a GVHS Class of 1992 alumni.